Two New Undergraduate Researchers Join the Powers Lab!! ≈ Comments Off on Two New Undergraduate Researchers Join the Powers Lab!! Two new undergraduate researchers, Natalie Amodei and Sarah Thompson, have joined the Powers Lab for the coming year. Both are funded by the George Fox University (GFU) Richter Scholar Program. Natalie Amodei is a sophomore biology major from Corvallis, OR, and is also part of the GFU Honors Program. 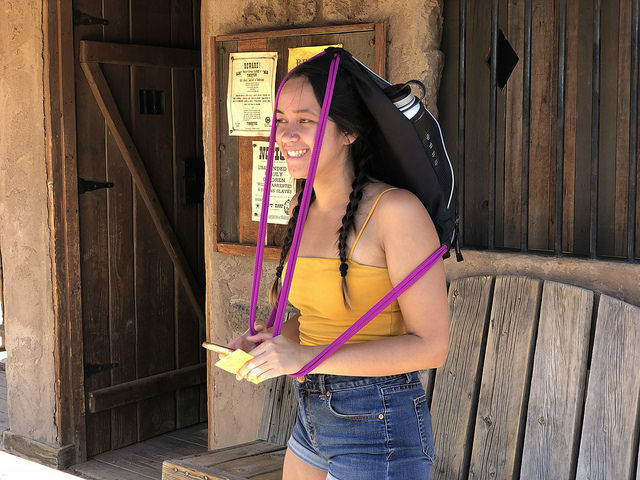 Her core project in the lab will be to continue experiments attempting to measure total evaporative heat dissipation during hovering in hummingbirds. 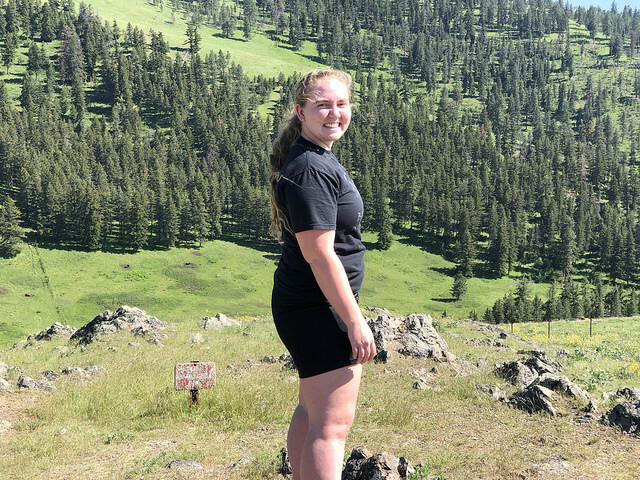 Natalie will spend the balance of the Spring semester working out the kinks in her protocol before heading off to test it on calliope hummingbirds in Dr. Bret Tobalske’s lab at the University of Montana. After that Natalie will head to the Southwestern Research Station (SWRS) in the Chiricahua Mts of SE Arizona to collect data on blue-throated, Rivoli’s, and black-chinned hummingbirds. Sarah Thompson is a sophomore biology major from Ewa Beach, HI. Her core project will be a test of the long standing assumption that hummingbirds engage in hyperphagia just prior to roosting to fill their crop with nectar to fuel a portion of their nighttime metabolism. The idea that hummingbirds engage in hyperphagia was first proposed by the late Dr. Bill Calder in a 1990 study of broad-tailed hummingbirds. Sarah will spend the Spring semester developing her protocol which will involve directly weighing hummingbirds that come to feeders. In June Sarah will travel to SWRS to study mass management in both male and females of three hummingbirds at the research station. Welcome Sarah! !